I've written before about how high doses of vitamin C can be used to kill cancer cells. When it comes to fighting cancer, sometimes it's enough to know that something does work, even if we don't know exactly why. For a while, that was the case with vitamin C. But now, researchers at the University of Iowa (UI) have identified just what makes vitamin C so powerful when it comes to fighting tumors — and this information should help doctors harness it more effectively. 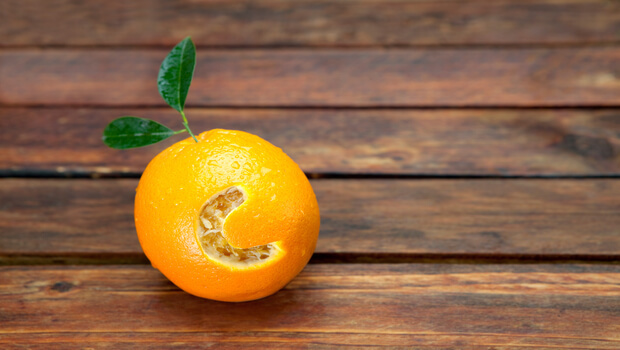 Vitamin C therapy has sometimes gotten a bad rap for being ineffective. But that's because just like with chemotherapy, certain cancers are going to be immune to it. The researchers at UI found that vitamin C actually works by increasing the levels of hydrogen peroxide inside cells. If you've ever used hydrogen peroxide to cleanse a wound, you know it can kill bacteria. Well, in high enough doses, it can damage DNA and kill normal cells as well. Our healthy cells have a mechanism in place to help them deal with hydrogen peroxide: an enzyme called catalase. Essentially, catalase can bail hydrogen peroxide out of our cells before it sinks them. But cancer cells are much less efficient at removing hydrogen peroxide. So levels that are safe for normal tissue can still be toxic to cancer. Still, this depends on how much catalase the tumor cells contain: those with lower levels will be very susceptible to destruction by hydrogen peroxide, while those with higher levels may have enough to withstand an onslaught. The research team's next goal is to find a way to measure tumor catalase levels to determine which cancers vitamin C therapy will be most effective against. Now that they've identified how vitamin C therapy attacks cancer cells, the team also understands why taking vitamin C by mouth doesn't kill cancers. It's because in order for vitamin C to generate enough hydrogen peroxide to kill a cancer cell, it has to be in very high doses. And the problem is that our intestines just are not able to absorb enough vitamin C to do the job. The team got much better results by giving the vitamin C intravenously instead. Their first trials with pancreatic and lung cancer patients went well, indicating that the treatment is safe and well-tolerated and may improve outcomes. They're currently conducting additional research to see if the treatment improves survival rates. I suspect they'll find that it does. I think vitamin C is a powerful weapon in our cancer-fighting arsenal. And I'm glad this new research is giving us additional information about how to use it most effectively.